A greatest hits album, sometimes called a "best of" album or a catalog album, is a compilation of songs by a particular artist or band. Most often the track list contains previously released recordings with a high degree of notability. However, to increase the appeal, especially to people who already own the original release, it is common to include remixes or alternate takes of popular songs; sometimes even new material will function as bonus tracks. At times, a greatest hits compilation is the original album release for songs that have themselves been released as a single and charted successfully. A box set or boxed set is a set of items traditionally packaged in a box and is offered for sale as a single unit. In marketing, product bundling is offering several products or services for sale as one combined product or service package. It is a common feature in many imperfectly competitive product and service markets. Industries engaged in the practice include telecommunications services, financial services, health care, information and consumer electronics. A software bundle might include a word processor, spreadsheet, and presentation program into a single office suite. The cable television industry often bundles many TV and movie channels into a single tier or package. The fast food industry combines separate food items into a "meal deal" or "value meal". Richard King is an American sound designer and editor who has worked on over 70 films. A native of Tampa, Florida, he graduated from Plant High School (1972) and the University of South Florida. He won the Academy Award for Best Sound Editing for the films Master and Commander: The Far Side of the World (2003), The Dark Knight (2008), Inception (2010), and Dunkirk (2017). He was also nominated for War of the Worlds (2005), and Interstellar (2014). Box sets , elaborate multi-disc collections often covering the entire breadth of an artist's career or the full sweep of an entire record label or genre. Many anthologies are released in this format. Promotional compilations or samplers . These are creative, successful forms of promotion for artists or record labels to promote their music. Generally, these types of releases are free or cost very little for the consumer or end listener. Elektra Records released the first sampler albums in the 1950s. 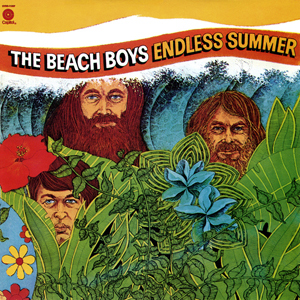 Endless Summer is a compilation album by American rock band the Beach Boys, released on June 24, 1974. A collection of hits from the band's 1962–65 period, Endless Summer was compiled by their old label, Capitol Records, while the Beach Boys were contracted to Reprise Records. Its unexpected success bore immediate consequences for the band's then-progressive musical direction. The Turtles was an American rock band led by vocalists Howard Kaylan and Mark Volman, later known as Flo & Eddie. The band had several Top 40 hits beginning with their cover version of Bob Dylan's "It Ain't Me Babe" in 1965. 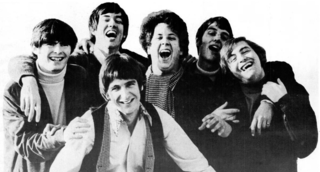 They scored their biggest and best-known hit in 1967 with the song "Happy Together". Greatest Hits is a compilation album by Icelandic musician and singer Björk, released on 4 November 2002 through One Little Indian. Although not all of Björk's singles are included on this collection, all of the songs on Greatest Hits were released as singles. The tracks were selected by fans through a survey on Björk's website. Greatest Hits presents the songs in descending order of most-popular votes, with the exception of "It's In Our Hands" which was a new song and appears at the end of the compilation. 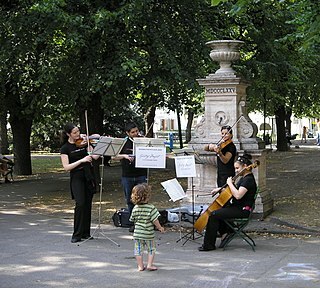 Family Tree is a boxed set of musical material by Icelandic singer Björk. The set consists of a book of lyrics entitled "Words", five 3-inch compact discs of rare and previously unreleased material, and a regular-sized compact disc of "Greatest Hits" selected by Björk herself. Family Tree was released in November 2002, concurrent with the release of Björk's Greatest Hits album, in which the tracks were selected by her fans. Greatest Hits is a compilation album by American recording group Sly and the Family Stone. It was first released on November 21, 1970, by Epic Records. Comprising five singles and their b-sides along with one additional single and one album track, it includes all of the singles from the albums Dance to the Music (1968), Life (1968), and Stand! (1969), and all of their charting B-sides. 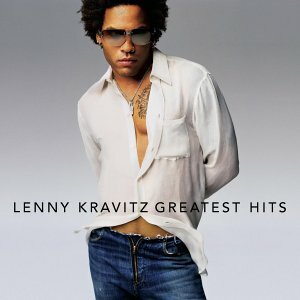 Greatest Hits is a greatest hits album by American rock musician Lenny Kravitz, released on October 24, 2000. The album featured an unreleased track for promotion called "Again" which became a hit, reaching number 4 on the Billboard Hot 100, following a very successful string of hits from the album 5. "Again" propelled the compilation to commercial success greater than any of his studio efforts. Troubadour: The Definitive Collection 1964–1976 is the first CD boxed set from Scottish singer-songwriter Donovan, released in the US on 4 August 1992. It was originally released as a two CD set in a long box. The long box also contained a picture booklet. In 1995, it was released again without the long box and picture booklet. Bob Dylan's Greatest Hits Vol. II, also known as More Bob Dylan Greatest Hits, is the second compilation album by American singer-songwriter Bob Dylan, released on November 17, 1971 by Columbia Records. With Dylan not expected to release any new material for an extended period of time, CBS Records president Clive Davis proposed issuing a double LP compilation of older material. Dylan agreed, compiling it himself and suggesting that the package include a full side of unreleased tracks from his archives. After submitting a set of excerpts from The Basement Tapes that Davis found unsatisfactory, Dylan returned to the studio in September 1971 to recut several Basement songs, with Happy Traum providing backup. Bob Dylan's Greatest Hits Volume 3 is a compilation LP album by Bob Dylan, released on Columbia Records on compact disc in 1994, catalogue CK 66783. It peaked at No. 126 on Billboard 200. Track Record was founded in 1966 in London by Kit Lambert and Chris Stamp, then managers of the hard rock band The Who. It was one of the first British-owned independent record labels in the United Kingdom. The most successful artists whose work appeared on the Track label were The Jimi Hendrix Experience, The Who, The Crazy World of Arthur Brown, Thunderclap Newman and Golden Earring. In its early years, Track was one of the hippest and most successful record companies in the United Kingdom. The label ceased operations in 1978 but was revived in 1999. The Roxbox is a boxed set compilation by Swedish pop duo Roxette, released on 18 October 2006 by Roxette Recordings and Capitol. It is an expanded companion piece to the single-disc greatest hits album A Collection of Roxette Hits: Their 20 Greatest Songs!, which was also released on the same date. The box set consists of four CDs containing singles, album tracks, non-album singles and B-sides, as well as previously unreleased outtakes, alternate versions and demos. It also includes two DVDs: the first is of their previously unreleased 9 January 1993 performance at the Cirkus arena in Stockholm for MTV Unplugged; the second contains every music video ever recorded by the duo. Greatest Hits is a 1992 compilation album by the Cuban-American singer-songwriter Gloria Estefan. Musically, it includes songs with soft rock influenced sounds as well as more upbeat Latin pop works inspired by dance music. The tracks were gathered from various releases over the 1985 to 1992 period. Pebbles is an extensive series of compilation albums in both LP and CD formats that have been issued on several record labels, though mostly by AIP. Together with the companion Highs in the Mid-Sixties series, the Pebbles series made available over 800 obscure, mostly American "Original Punk Rock" songs recorded in the mid-1960s — primarily known today as the garage rock and psychedelic rock genres — that were previously known only to a handful of collectors. In 2007, the release of the Pebbles, Volume 11: Northern California CD marked the final album in the Pebbles series. The following year, Bomp! marked the 30th anniversary of the original Pebbles album with a spartan, limited-edition, clear-vinyl reissue complete with the original pink cover insert. 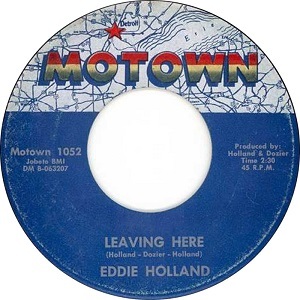 "Leaving Here" is a song written in 1963 by Motown songwriters Holland–Dozier–Holland. 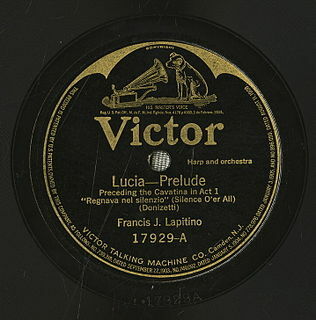 Written at the beginning of the partnership, it is notable in several recordings. It was originally released as a single in December 1963 by H-D-H lyricist Eddie Holland and peaked at number 76 on the Billboard Hot 100 and at number 27 on the Billboard R&B chart. Game Recordings was a New York-based record label best known for its artists featured on the soundtrack of the video game Grand Theft Auto III. Game Recordings artists included Royce da 5'9", Agallah, Sean Price, Pretty Ugly, Ilacoin, Nature, and JoJo Pellegrino. The label was also known for the "Game Girls," or "Hip Hop Honeys," who featured on all of the promotional singles and maxi-CDs it released. Greatest Hits on Monument is a compilation album by American country artist, Connie Smith. The album was released March 9, 1993 on Sony Music Entertainment and was produced by Ray Baker. The album was collection Smith's singles and other tracks recorded during her three years at Monument Records (1977–1979). 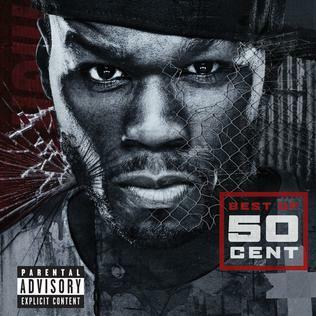 Best Of is the first greatest hits album by American hip hop recording artist 50 Cent. It was released on March 31, 2017, by Shady Records, Aftermath Entertainment and Interscope Records. The compilation includes tracks from five of his previous studio albums: Power of the Dollar (2000), Get Rich or Die Tryin' (2003), The Massacre (2005), Curtis (2007) and Before I Self Destruct (2009). Also included are songs from the soundtrack to the film Get Rich or Die Tryin' (2005). It also includes the non-album singles "Get Up" and "I Get It In". Best Of anthologizes the majority of the singles that 50 Cent released during his joint deals with Eminem's Shady, Dr. Dre's Aftermath, and major-label Interscope. This is the first Shady Records album that does not feature Eminem on a song. ↑ McDonald, Heather (April 30, 2018). "A Definition of, and Look at, Compilation Albums". The Balance Careers. Retrieved September 6, 2018. ↑ Marc Burrows (20 Nov 2013). "Why a greatest hits album can be the band's greatest". theguardian.com. ↑ "Definition of 'compilation album'". collinsdictionary.com. ↑ Emily Jupp (25 September 2015). "32 years of NOW music compilations". independent.co.uk. ↑ Michael Hann (9 Apr 2018). "Covered in glory: the tribute albums that saved careers and changed lives". theguardian.com. ↑ "Definition of retrospective in English". oxforddictionaries.com. ↑ King, Richard (2016). Recording Orchestra and Other Classical Music Ensembles. Taylor & Francis. p. 223. ISBN 1317520815. ↑ Christgau, Robert (1981). "The Criteria". Christgau's Record Guide: Rock Albums of the Seventies . Ticknor & Fields. ISBN 0899190251 . Retrieved April 6, 2019– via robertchristgau.com. ↑ "TLC to Release Greatest Hits Compilation to Accompany Biopic, New Album Coming in 2014". Pitchfork. 23 September 2013. Retrieved 1 December 2013. ↑ Gentile, John (8 November 2013). "Deadmau5 Compilation 'We Are Friends Vol. 2' – Album Premiere". Rolling Stone. Retrieved 1 December 2013. ↑ Suchet, Richard (28 November 2013). "Now Compilation Albums Celebrate 30 Years". Sky News. Retrieved 1 December 2013. 1 2 3 Brian McPherson (1999). Get It in Writing: The Musician's Guide to the Music Business. Hal Leonard Corp. p. 68. ISBN 9780793566990 . Retrieved 24 March 2015. ↑ Brian McPherson (1999). Get It in Writing: The Musician's Guide to the Music Business. Hal Leonard Corp. p. 89. ISBN 9780793566990.